Accelerated Reader - Passports to Adventure! 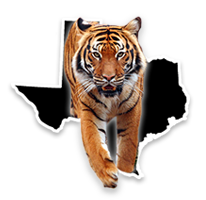 District 26-1A Track Meet will be held for both JH and HS at Moody ISD track on Wednesday, April 3rd. Teams participating will include Bartlett, Buckholts, Calvert, Oglesby, and Richards. All information was emailed to the coaches along with instructions on entering participants in the online entry program. For questions or concern, please contact AD Brian Aycock or Coach Julie Seiler.